Hundreds of books have been written pointing out the differences between men and women. Some suggesting that we come from far apart planets, it's obvious that tour physiology differs and that since man lived in caves we've been brought up to fulfil different roles in society, and so, yes, we can think and behave in different ways sometimes. But we can choose to focus on all the things we don't have in common, or all the things we share. And our results, when it comes to love, dating and relationships, will be determined by which one of these positions we choose to stand on. The truth is that we are all human, and on a basic level we all share the same innate need: the need to be loved and accepted; to feel like we are worth something: unconditional love. When you smile the sides of your mouth lift upwards showing your teeth, your cheeks plump up with rosiness, your eyes squint and sparkle, you look healthier and your attractiveness is magnified. Your face is telling your brain you are feeling good, and your brain is sending messages to every cell in your body to continue to feel good. And who wouldn't want to get close to someone who is obviously feeling good about themselves? If you have to drown yourself in alcohol before you can let out a forced smile, that's no good. If you can't think of any reason to smile, that's not going to work. We all have things that when we think about them put a smile on our face. The problem is, we don't think about them often enough. But if you want to become a man - or woman - magnet you need to draw upon the good stuff in your life, continue to create more feel good moments, and more smiles. Because when we smile we not only appear healthier and more attractive, we also come across as more approachable, and we feel comfortable approaching other people too. And if you are not confident right now, don't even try to get into a relationship until you feel more confident, or you could end up with the wrong person and a whole lot of drama! How do you get to boost your self confidence? By doing things that make you feel good about yourself; walking around with a face like a lemon, sulking, damming your life, or asking why our life is so crappy and why you feel so bad isn't going to solve anything. Analysing why you do all of that isn't going to make you feel better either. If you don't like who you are, why would anyone else? If you don't like the way you look, or you hate your job, your situation, your life... make the decision to change things. We are often told we should appreciate and be grateful for what we have, but that doesn't mean we can't improve things and make things better. Your life doesn't have to be perfect to attract someone amazing into it, all you have to do is take action and start making some changes so that you get to feel better about yourself and you feel more confident. Confidence is not someone you have or don't have, it is something you do. What would you look like if you were totally confident? How would you carry yourself? How would you talk differently? If you were extremely confident, how would you go about your day? Or develop it! Because life is tough enough as it is, when it comes to dating and relationships, who would you rather spend your time with: a pretty boy - or girl - with a face as long as the floor, or an average Joe - or Mary- with the capacity to make your tummy hurt and tremble with laughter? Thankfully, a sense of humour is a skill that can be developed. Top Irish Comedian Karl Spain says that comedians (who are often not the prettiest of the lot, and yet are considered very attractive people) look for the fun in everything. And when you look for it, you sure will find it! So, whether you choose to go to more comedy gigs, watch funny dvd's, practice a few jokes... never leave the house looking for love without your sense of humour! A man usually looks for someone he can depend on, but at the same time someone he senses is independent; someone who is emotionally strong and vulnerable at the same time. Confused? Women look for the same attributes! We want someone with ambition, but not so ambitious that we are going to end up at the bottom of their priorities. In essence, if you want to stand out in the crowd, you must demonstrate that whilst you get great enjoyment from someone's company, you don't really need them and can survive perfectly well on your own if they ever take you for granted or mistreat you. There is nothing more attractive than someone who can be deeply caring and fun and vulnerable, but won't take any BS. The number one fear when it comes to dating. The reason we don't take more risks more often, probably the reason why we've missed out on so many golden opportunities, any may be even let a soul mate go. We are so afraid of getting rejected that it freezes us. We'd rather be on our own than be rejected, yet we don't want to be on our own. How can we avoid rejection? We can't. Just like we reject people, we are bound to be rejected now and again. You can make it about yourself and your ego, or you can get up, dust yourself off, and keep going. The problem with rejection is that most of us don't put ourselves in situations where we can get rejected often enough. People in the entertainment industry, actors, singers, models... face rejection daily, it is part of the job. They go to auditions where they are scrutinised amongst hundreds of other people and rejected for not fitting the role. Not for not being good enough, or not being pretty enough, but because they are simply not what a particular person is looking for at a particular time. Some people are going to love us straight away, others are going to hate us, other people are not even going to take the time to get to know us well enough to make an informed decision. Because whatever decision they make is about them, not you and how great you are. So, some people you meet will end up being great friends, some will end up being just friends, some will end up being acquaintances, some you will easily forget, but unless you start taking risks and getting rejected, you are going to miss out on ending up with your soulmate! 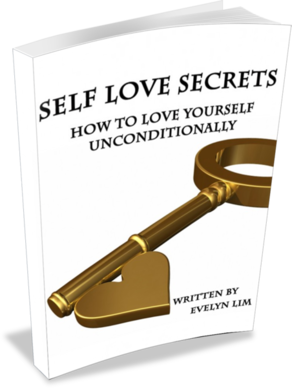 If you are facing challenges or coping with issues of self-esteem, then you will need to read Self-Love Secrets. Do not continue to allow negative self-talk compromiseyour right to happiness. 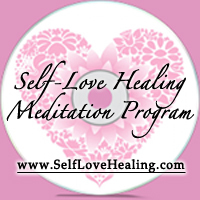 Learn how to break free from habitual thought patterns and align with the loving part of you. Learn how to pick yourself up after a setback.. Learn how to restore yourself back to health.. 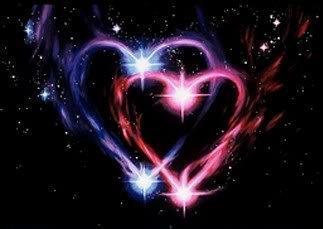 Learn to shift yourself back into alignment with divine love.. Learn about loving yourself, despite being aware of any imperfections at the same time.. Learn how to laugh at your idiosyncrasies, and to care less about fitting into a perfect mold..